Bullies usually like an audience. 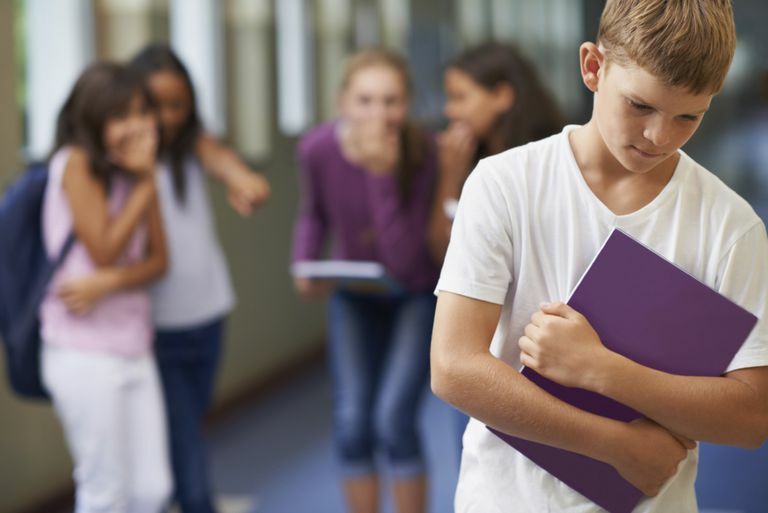 As a result, most bullying occurs in front of other students. Yet, the most common reaction for bystanders is to either keep silent or to laugh along with the others. While there are a variety of reasons for these responses, most of the time kids simply don’t know what to do. They also may worry that if they say something, they will become the next target. So in the end, most bystanders do absolutely nothing to help victims of bullying. As a result, many will suffer from feelings of guilt. But, empowering them to respond can alleviate these feelings. It also dramatically improves a school’s climate and helps​ ​prevent bullying. Bullying almost never happens when adults are watching. But it does happen frequently in front of peers. Many kids, though, don’t do anything to stop the bullying. What they don’t realize is when they see bullying and do nothing, then they are unknowingly giving their support to the bully. The key then is to get these bystanders to demonstrate that bullying is not acceptable and it’s not cool. If a bully’s audience or peers show disapproval, then the bully will be discouraged from continuing. When a child witnesses a bullying incident, it’s often easier just to look the other way and not step in. Sometimes kids are afraid of becoming a target themselves. Other times, it’s simply because they don’t know what to do. Remember, standing up to a bully is not easy. So you need to be patient with kids when they don’t say anything or fail to report an incident. Instead of focusing on what they didn’t do, encourage them on how to handle future situations. Ultimately, you want to teach kids that they can be a potent force in communicating not only that bullying is wrong. They also can demonstrate that bullying won’t make someone popular. Here are some ideas on how parents and teachers can empower kids to report bullying. Acknowledge that it might be easier to stand by or to ignore the bullying, but emphasize that sometimes we need to step in and help others overcome bullying. Educate kids about the importance of speaking out against injustices. Help them see that their silence helps the bully gain more power over the target. Provide kids with some perspective by asking how they want kids to respond if they are being bullied. Ask them how they would feel if people watched but said nothing. Encourage them to show empathy. Help kids formulate ideas on how to respond to bullying situations. You may have to provide ideas on what they can do to help. For instance, should they say something? Should they get help from an adult? Mention that distracting a bully or speaking out against bullying can be effective but discourage them from intervening physically. Let them know that it is courageous to report bullying and that it’s not considered tattling. Encourage kids to support people who are being bullied. Sometimes the best way to get involved is to be a friend. This might mean walking with them to class, sitting with them at lunch or inviting them to social activities. What Can Teachers Do to Empower Bystanders in Their Classrooms? When it comes to empowering bystanders, simply telling students to “tell an adult” is not enough. They need ideas on how to handle a variety of situations. Sometimes bystanders don’t come forward because they don’t have the confidence that adults will respond. In some environments, kids feel like reporting the problem will only make it worse rather than better. Therefore at school, a good anti-bullying policy must be in place before bystanders can be expected to report a bullying situation. If your school doesn’t have an anti-bullying policy, then develop one for your classroom. It’s important for all kids to know that bullying behavior is unacceptable. Once you have a policy in place, here are some ways to empower bystanders in your classroom. Send the message that bullying is a serious matter and will not be tolerated. Be sure everyone is aware of the specific disciplinary measures for bullying. Provide kids with the names of teachers and staff that they can talk to about the bullying they witness in case you are not available. Have your class perform a skit involving bullying. This activity will help them learn to recognize bullying and see some positive ways to respond. Start a conversation after the skit to allow kids to share their thoughts, feelings, and ideas. Help students find ways to reach out to targets of bullying and isolated peers. Sometimes having just one friend can keep a target from feeling alone. Assure students that reporting bullying is safe and that their names will be protected. Be approachable when it comes to bullying. Kids tend to form strong relationships with their teachers. As a result, you are the person they will feel most comfortable talking with. Going to the principal or a counselor may feel too extreme when they only witness the bullying and don’t actually experience it. Watch your tone and your attitude when a child reports bullying. Avoid being condescending or acting annoyed. You want kids to have confidence that you will handle the situation. Keep the bystander’s name out of the discussion when talking with the bully. You need to protect your bystanders from possible retaliation by the bully. If you don’t protect your bystanders, no one will feel safe in reporting bullying behavior.